The South West Coast Path stretches 630 miles from Minehead to Poole Harbour in Dorset and is one of the world’s great walks. 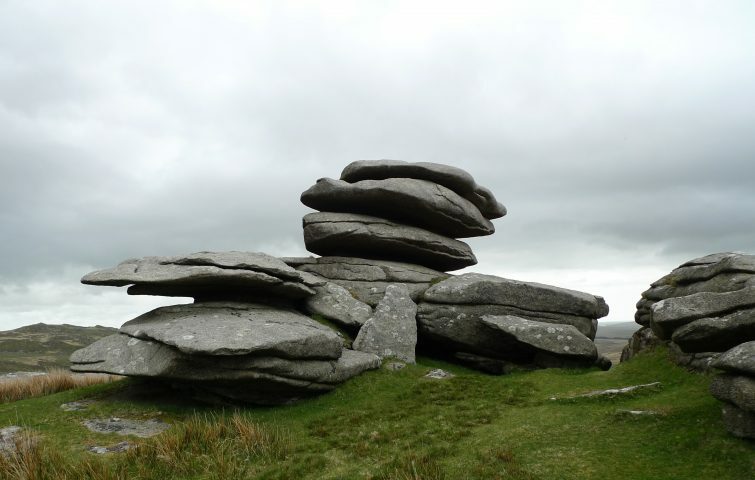 Our SWCP Part 4 trip covers some of the more challenging sections in terms of terrain although we gain rich rewards for our efforts in terms of scenery. There are many ups an downs each day with some significant overall height gains so poles are handy to protect the knees! 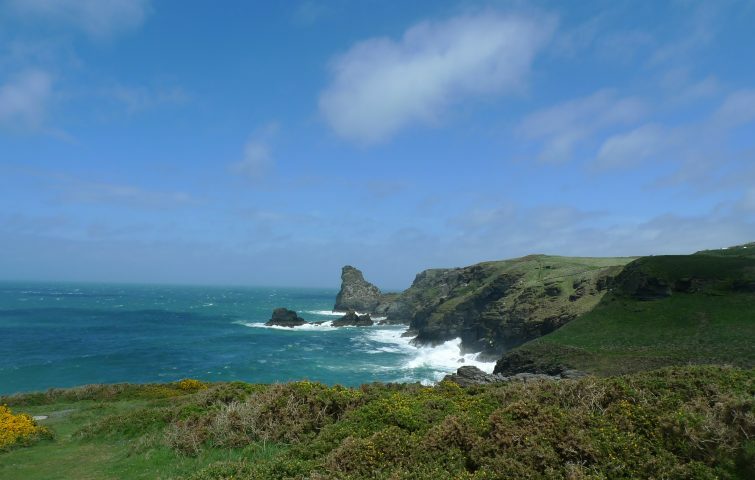 We will walk between Boscastle and Rock, near Padstow on the North Cornwall coast, taking in the quaint coastal villages of Tintagel, Polzeath and Port Isaac along the way. There is plenty of interest for wild life enthusiasts with the potential for seeing seals, basking sharks, gannets and wild ponies. the flowers at this time of year are stunning with thrift, sea campion and many others being present in abundance. 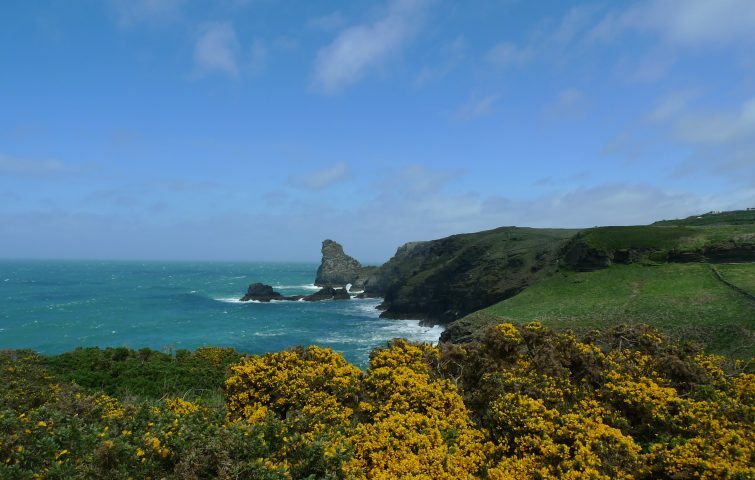 We will also take time to experience other Cornish delights such as ice cream, cream teas or even pasties! We cover 26.5 miles over 3.5 days through ever changing landscape. You will only need to carry a day pack. For this holiday, we will have sole use of the gorgeous Bluff Centre with its amazing views and sense of wild seclusion. 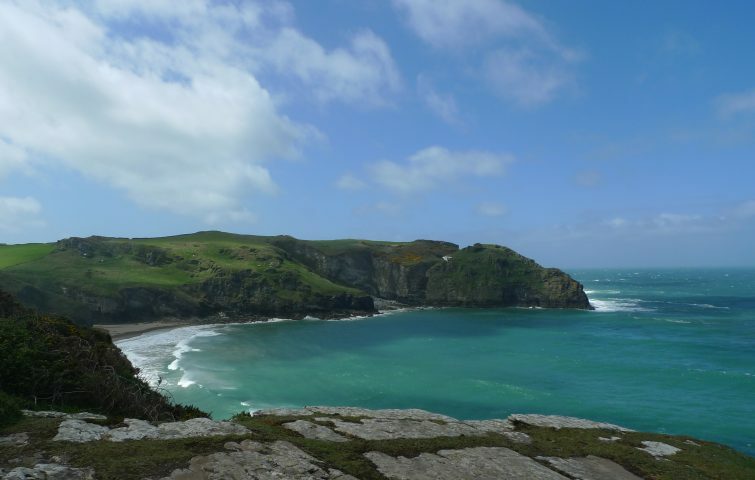 The accommodation is simply superb with the spacious communal area overlooking the cove at Trebarwith Sands. It is furnished to a high standard and the small details make all the difference. Breakfast and lunch are provided on a help yourself basis and we will eat out in the evenings at local pubs or perhaps eat in on some evenings (not included). Price includes: 4 nights half board in twin rooms; transport to walks. Rooms have either private bathrooms or are ensuite. Single rooms available from £15 per night supplement.